“You mentioned some H1N1 CDC statistics you had come across in December of last year. You mentioned their claim of 12,000 H1N1 deaths in the U.S., and that is confirmed in their document here. Then, you mentioned 0.8 per 100,000 deaths from H1N1 in the entire U.S., which would be approximately 2400 deaths, as you mentioned. However, the only reference to that number that I came across in their documents is 0.8 per 100,000 deaths among whites who contracted H1N1, as you can see here, so if that was the statistic you saw then, their statistic of 12,000 deaths is possible. As for those numbers, they are estimates, and the CDC says that 12,000 deaths is the midpoint between 8870 and 18,300, which is a variance of over 100%. If the WHO’s numbers are also an estimate and have similar variance, then we could be talking as few as 8870 deaths in the U.S., and as many as 27,000 worldwide, dropping the ratio of U.S. deaths from 67% to 32%. Given that the cases emanated out of North America, specifically Mexico and the U.S. Southwest, and that the CDC reports a death rate 75% higher for Hispanics than whites, the seemingly outlandish number of 67% of all H1N1 deaths becomes less outlandish. 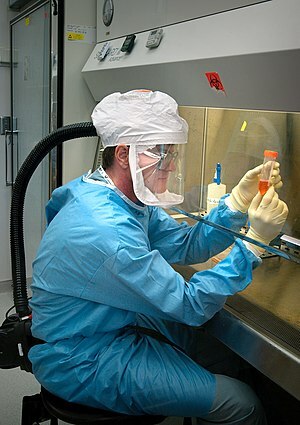 “The global impact of the current pandemic has not yet been estimated. Typically, the numbers of deaths from seasonal influenza or past pandemics are estimated using statistical models. “This approach has never been used to count seasonal or previous pandemic deaths and results in a significant underestimate. Therefore, it seems reasonable to me that their latest count of around 18,000 deaths could be between 27,000 to 36,000 with their forthcoming estimate, bringing the ratio of estimated U.S. deaths to as low as 24 to 32% of all estimated deaths worldwide.